Happy Cinco de Mayo Washington D.C. – it’s time to party. 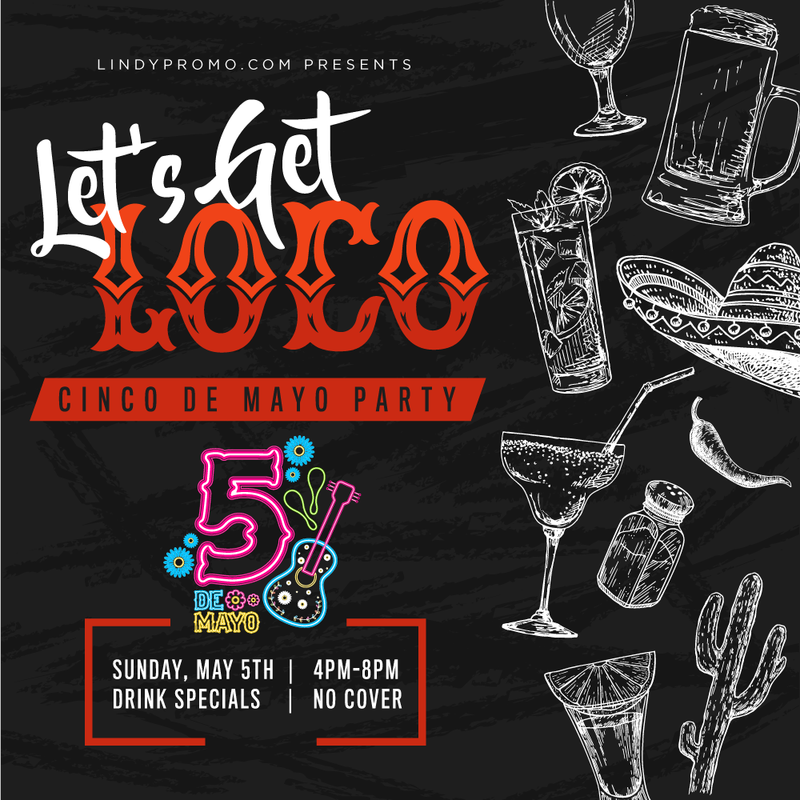 We’re throwing the best fiesta in town with our Let’s Get Loco Party from 4-8 pm on Cinco de Mayo. It’s an afternoon and evening made for boozing and celebrating our favorite Mexican holiday. Let go and dance with D.C.’s most spirited crowd. Tickets sell fast so whether you’re on your own or coming with a crew, secure your spot now at the famous Let’s Get Loco Party this Cinco de Mayo!